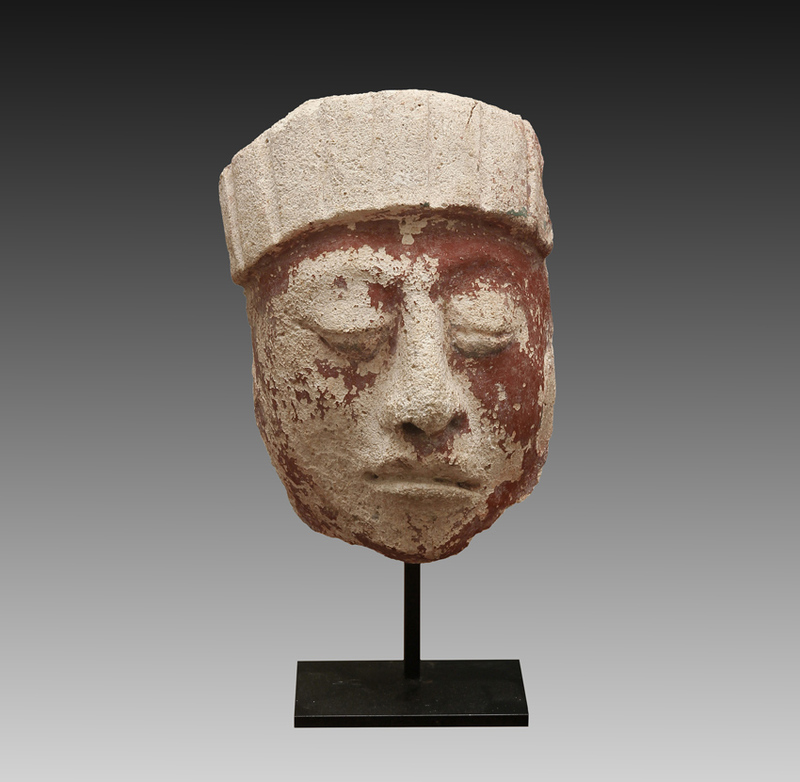 MAYAN STUCCO HEAD; with a serene countenance and wearing headdress; remains of deep red pigment overall. 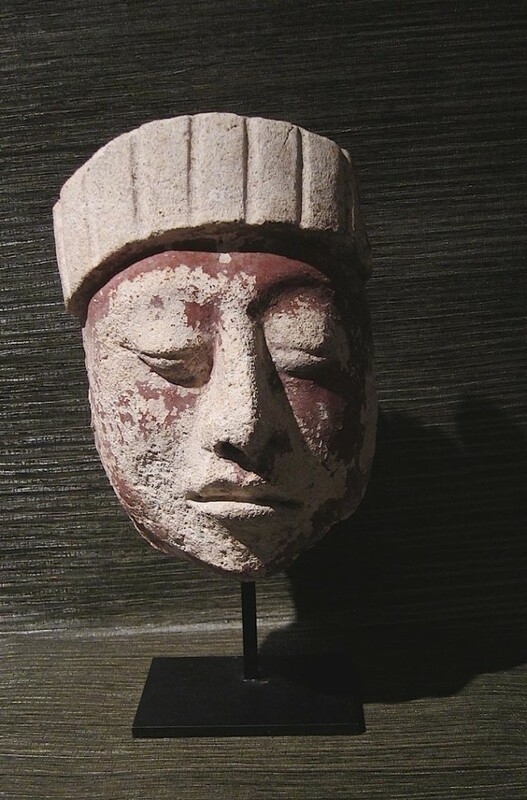 Mexico or Central America. 550-900 CE.